Witloofwortels, ook insecten lusten er pap van! 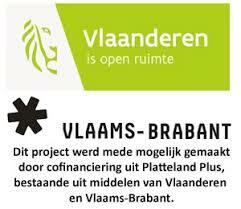 ​This PDPO project is funded by Province Vlaams-Brabant. Radius and ‘Nationale Proeftuin voor Witloof vzw’ investigate if insect scan be grown in chicory climate chambers and if chicory roots can be used as feed ​source for insects. Proefcentrum Herent schuwt experimenteel onderzoek niet.